Rosemarie Peña’s essay, “Black Germans: Reunification and Belonging in Diaspora,” opens the edited volume released in paperback and for Kindle Reader on November 1, 2016, just in time for National Adoption Month on Amazon.com. Visit often to find out about our latest news & events! 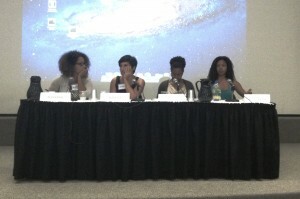 Doctoral student Kevina King (far left) on a panel this weekend with Jemele Watkins (far right) at the third Black German Heritage & Research Association International Conference held at Amherst College. AMHERST, Mass.—In an effort to recognize a relatively young academic discipline that many in the academy have never heard of before, nearly a hundred students and scholars gathered at Amherst College over the weekend to discuss their research and ideas for how to grow Black German Studies. 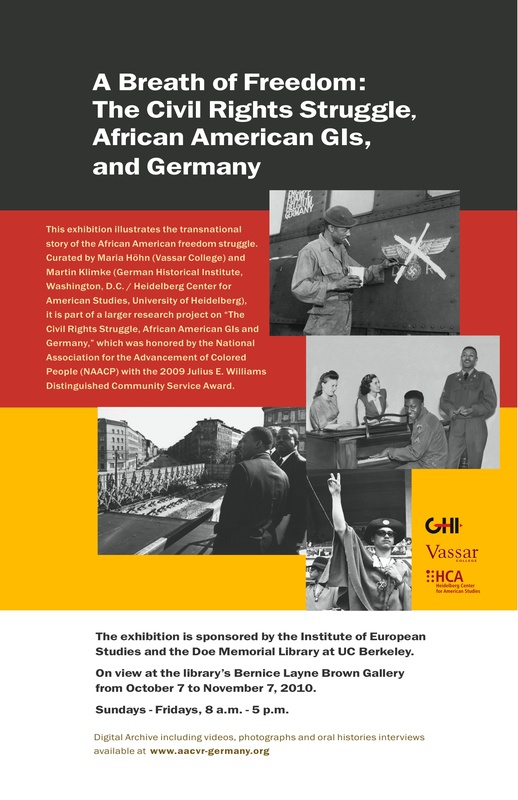 This marks the third year that the Black German Heritage & Research Association sponsored the international conference, which highlighted a variety of interdisciplinary topics ranging from Black Germans during the Third Reich to their ongoing presence in German theater.